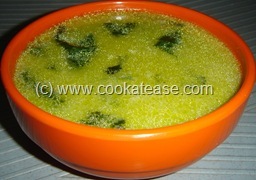 Soup is an all time favourite dish. Spinach soup is simple to prepare at short notice and is suitable for all age groups. 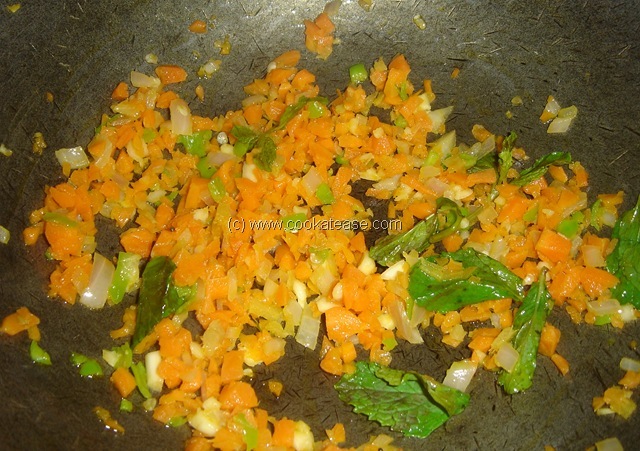 Wash and chop carrot,onion,green chilli,garlic,mint leaves except spinach leaves. Heat a pan add butter,chopped vegetables. 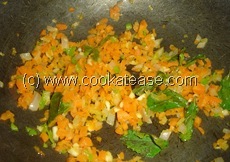 Fry for three minutes till vegetables are cooked slightly. Add water or vegetable stock, spinach leaves; cook till the leaves are tender. 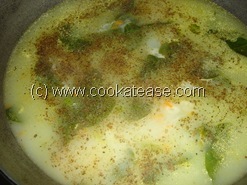 Mix corn flour in milk and add slowly in the soup mixing well; boil one to two minutes. 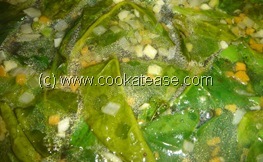 Add pepper powder,salt and cook for one more minute. 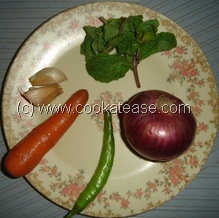 Garnish with cream or butter and serve hot. 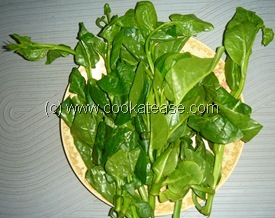 Do not chop spinach leaves. Chopped cauliflower,cabbage,beans may also be added if required. Just now made this soup and it tasted so good. I have a 2yr old daughter she enjoyed it so much. It nice to get some veggi in her diet. I used cabbage instead of carrot because my mom is diabetic and still it tasted great. I used to get the maggi soup powder and make soup but today i feel so happy and satisfied after having my soup. I came across you site accidentally but i am so excited to come across such treasure. Keep up the good work. Thanks. 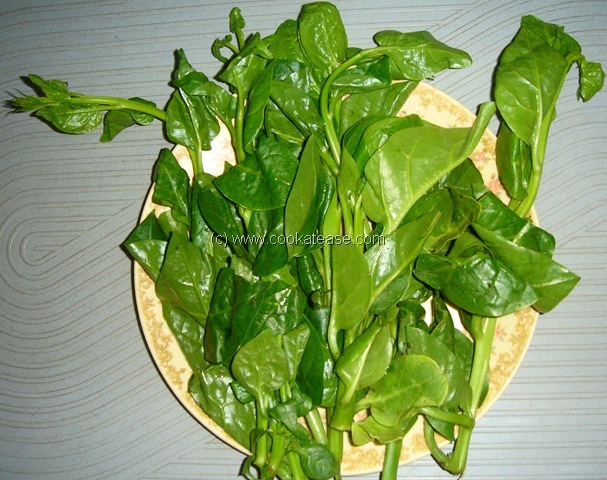 Which spinach you use? its palak or other varieties.. plzz name it. Here I have used ‘பசலைக்கீரை’ Pasalai Keerai in Tamil. 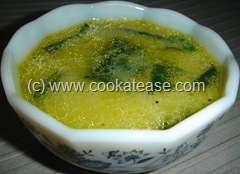 Palak can also be used.